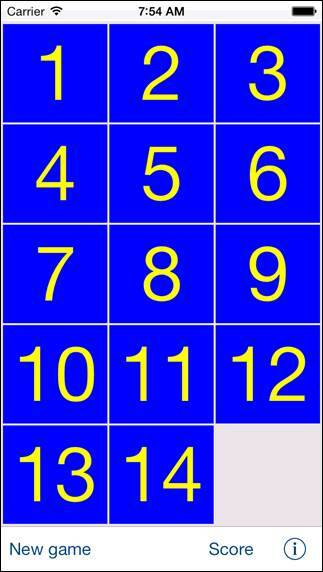 SortItPro is digital version of the classic combinatorial game 15-Puzzle, invented 1874 in USA. · “5 x 7” on iPhone 4. At the end of the game the bottom right corner should be empty and all buttons should be ordered in numerically: 1, 2, 3, ..., left to right, top to bottom. App is optimized for iOS 7, iOS 6, iOS 5. If you have any questions, problems or suggestions for improvements, please contact me: sortitpro@jz-it-konsult.se.